Become a member of one of the strongest immigrants rights coalitions in the south! Members are immigrants and refugees who are committed to our work and mission, participate in campaigns, and make an annual contribution. Becoming a member is an important step in getting involved! 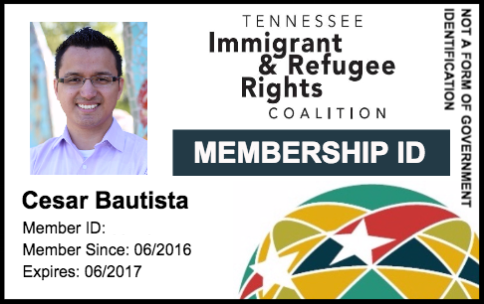 If you want to join the movement for immigrant and refugee rights in Tennessee, join TIRRC today! It takes less than five minutes to set up a monthly recurring membership payment for only $5 per month! Please note that membership payments are not tax-deductible. To make a tax-deductible donation to TIRRC as a donor, please click here.